What Should the Toronto Maple Leafs Do With Their First Round Draft Picks? The 2011 NHL Entry Draft is quickly approaching, meaning that it’s time for NHL teams to make decisions about their extended future. The Toronto Maple Leafs have a lot of draft picks to use at their discretion and whether they will keep them or trade any of them has yet to be made official. Two of the Maple Leafs’ picks will come in the first round, at 25 and 30. While many experts are saying this draft class is not a deep one, there is always the chance for a player to slide or for a team to get lucky. At the same time, the Maple Leafs continue to struggle both defensively and offensively on the ice. General Manager Brian Burke announced the hiring of two new assistant coaches on Monday in Scott Gordon and Greg Cronin, but the majority of responsibility needs to be placed on the shoulders of the players. That is where trading comes in. While it’s almost never a good thing to hit the panic button and pull the trigger on a high-risk trade, there is a time for it. Most people would not call a draft day trade “hitting the panic button,” but it could signify the beginning of some major changes. For the Maple Leafs, the 2011 Draft is the perfect opportunity to switch some things around. With two first round picks, the Leafs are a team that many others will being looking to dance with on Friday and possibly Saturday. Some of last seasons’ basement dwellers such as the Ottawa Senators and Edmonton Oilers will certainly be looking to add on some draft picks and might have what the Leafs are looking for this off-season: one or two top-six forwards. There are not many Leafs fans out there who actually want to welcome Jason Spezza to the team. But look, he is a three-time 32+ goal scorer and he put up 57 points in 62 games last season. As far as a potential trade with the Oilers goes, Andrew Cogliano and Sam Gagner are both options. Both struggled last season but could blossom into top-six NHLers if placed with the right linemates. The Senators and Oilers are not the Leafs’ only choice though. What about Colorado? New Jersey? 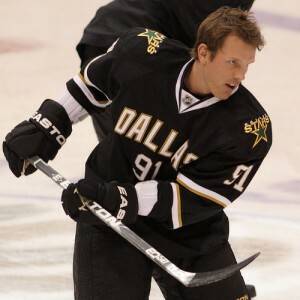 Brad Richards’ negotiating rights? Those are just three of the many choices Burke may have come Friday. Speaking of Richards, what about the idea of trading one of the first round picks – ideally 30th overall – to the Stars for his negotiating rights? With many people believing he could go to New York and join the Rangers, this could be the perfect opportunity to get a leg-up on signing the targeted centreman. That is another subject for a different day. The point is, the Leafs have many options when it comes to trading away one or both of their first round draft picks. They also have plenty of cap space to work with, giving them even more. But what about doing the unimaginable, the unthinkable, the extraordinary – actually keeping the draft picks. Despite picking so late in the order, there are still many players available who could become NHLers one day. 6’4″ Oscar Klefbom, left winger Brandon Saad and American Rocco Grimaldi are expected to go in the 21-23 range, but could slide. Sharpshooter Nicklas Jensen, swift skater Ty Rattie and grinder Boone Jenner are all full of potential. Other names that could appear in the 20-30 range on Friday include Matthew Puempel, Zack Phillips, Thomas Jurco and Connor Murphy. Is it really worth it to hold on to two late first round draft picks when you could trade them both – possibly with something or someone else – for the proven top-six forward you’ve been looking for? Especially when you would still have millions of dollar in cap space to use during free agency? No. It makes more sense to just trade them both and solve a problem that has existed for well over a year. Information from TSN.ca was used in this post.